Dan joined the firm in December of 2018. During law school, Dan clerked for public interest environmental law centers, the California Tahoe Conservancy, and the Oregon Legislature’s Office of Legislative Counsel. 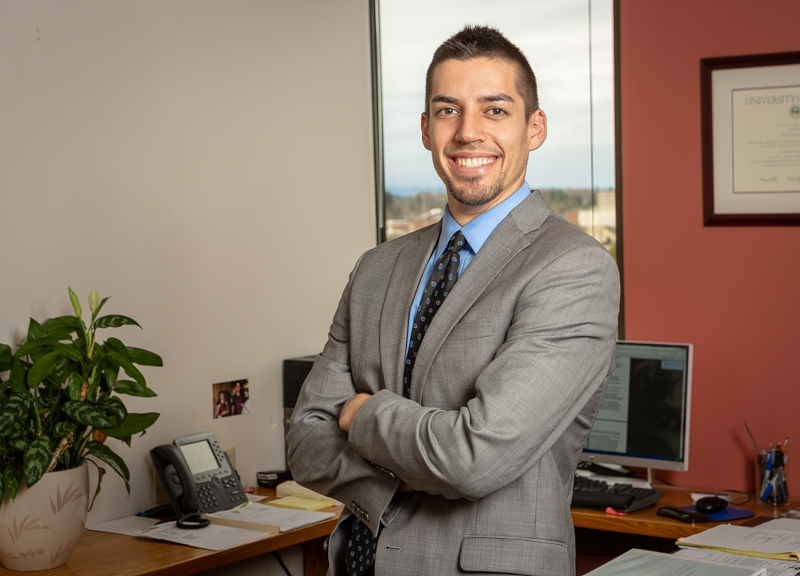 In May of 2018, Dan received his law degree from the University of Oregon and began work as a City Planner with the City of Eugene, gaining practical experience with land use issues, public meetings, and providing written and oral recommendations to decision-making bodies. He now provides legal support to public entities in a wide range of practice areas. Dan grew up in Virginia and received his undergraduate degree from Virginia Tech in 2015. After graduating, he moved to Eugene to attend law school at the University of Oregon, where he fell in love with the Pacific Northwest and developed passions for government and environmental law. On most weekends, you can find Dan hiking, mountain biking, or snowshoeing on a trail somewhere in Oregon. He also enjoys playing basketball and golf during his off time.